12g blank firing mines with Free UK delivery. 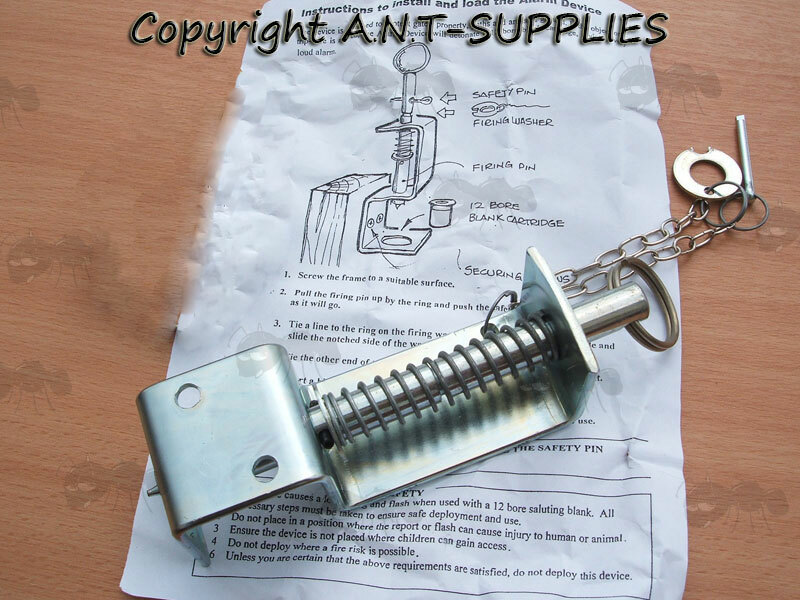 The alarm mine is designed to protect gates, property, paths and areas of ground. If the object or a trip-wire is moved, the mine will fire the 12 bore blank cartridge, giving a very loud alarm. Can be used for airsoft or paintball ~ with permissions obtained first. 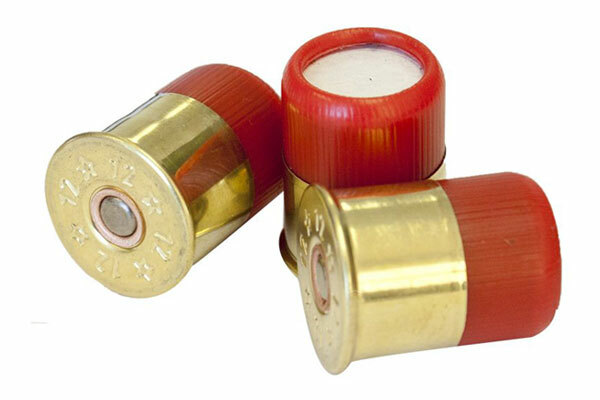 Designed to use 12 gauge short saluting blanks ~ so not to accept standard live cartridges. Warning signs would be recommended. Positioning of the alarm is important. Their is risk of tripping, eardrum damage, etc, if installed incorrectly. One mine weighs 300 grams. as they can not be sent via Royal Mail. They should be readily available at your local gun shop. For the trip wire, a suitable strength clear fishing line is ideal. Screw the devices frame to a suitable surface. 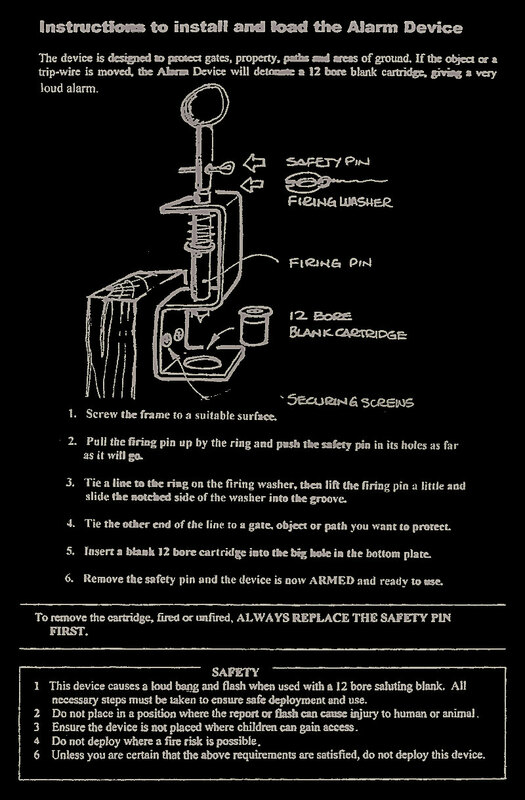 Pull the firing pin up by the ring and push the safety pin all the way through the hole in the firing pin. Tie a line to the ring on the firing washer, then lift the firing pin a little and slide the notched side of the washer into the grove. Tie the other end of the line to a gate, object or path your want to protect. Insert a blank 12 bore cartridge into the big hole in the bottom plate. Remove the safety pin and the device in now ARMED and ready to use. To remove the cartridge, fired or unfired, ALWAYS replace the safety pin first. This device causes a loud bang and flash when used with a 12 bore saluting blank, all necessary steps must be taken to ensure safe deployment and use. Do not place in a position where the report or flash can cause injury to human or animal. Ensure the device is not placed where children can gain access. Do not deploy where a fire risk is possible. Unless you are certain that the above requirements are satisfied, do not deploy the device.